In the evening hours of Sunday, Jan. 20, a total lunar eclipse will transform a full moon into a three-hour-plus celestial extravaganza. Not only will we witness the breathtaking beauty of the eclipse, but we'll watch it during a super moon, when the moon is near its closest approach to Earth and appears larger in our sky than at any other time. The best part of the show, when the moon begins to enter Earth's full shadow (or umbra), begins at 7:33 p.m. and lasts until 10:50 p.m. Pacific Standard Time, when the moon will slip out of the shadow. The moon will be fully engulfed in Earth's umbra starting at 8:41 p.m. This state of "totality" will last a full hour — so there's plenty of time to enjoy the show. During totality, the moon will be high and rising higher in the Eastern sky. 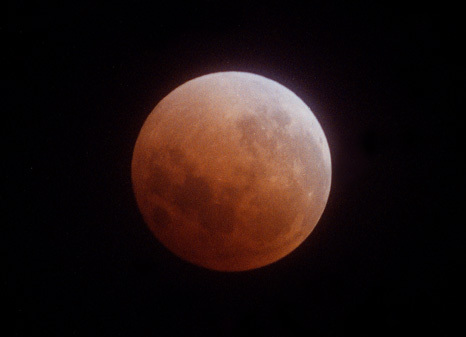 A total lunar eclipse is sometimes referred to as a "blood moon" for the reddish hues it acquires during totality. 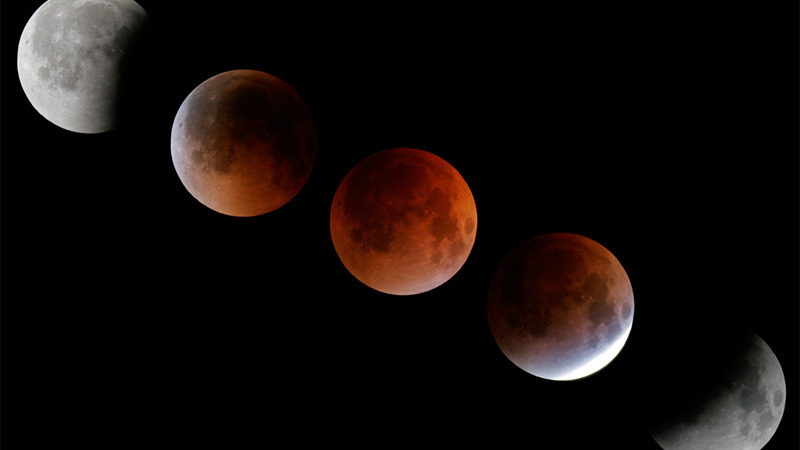 The color can range from coppery to orange to downright red, depending on atmospheric conditions and the moon's position in the sky. The reddish color is an effect of Earth's atmosphere, which filters out the bluer tones of sunlight and lets the redder colors pass through unhindered--like red stained-glass. That reddened, filtered sunlight grazing the edge of the Earth passes on and is bent into Earth's shadow. This filtering of sunlight by the atmosphere is the same effect that makes the sun appear orange or red at sunrise or sunset. Without these effects of Earth's atmosphere, the moon would go almost completely dark upon entering the umbra. Instead, the light from all of Earth's sunrises and sunsets softly illuminate the eclipsed moon, producing a celestial night light in the sky. You may find that the eclipsed moon looks more like a three-dimensional ball, rather than the flattish disk the full moon usually appears as. This quality is mostly due to the darkened moon not being overwhelmingly bright, as a full moon tends to be. The ruddy coloration may also have something to do with this, accentuating the moon against the otherwise black-and-white night sky. If the full moon looks larger than usual on Jan. 20, it may not be your imagination. In fact, Sunday's full moon is a so-called "super moon." Though it is not an official astronomical term, a super moon is defined as one that takes place when the moon is within 90 percent of its closest approach to Earth (perigee). 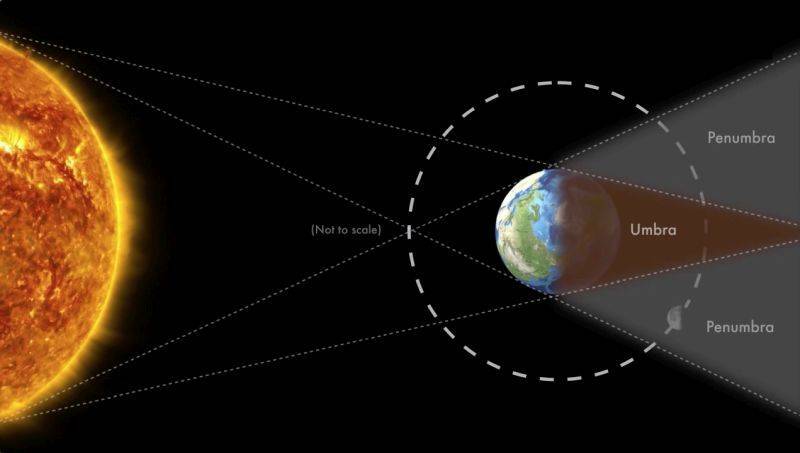 On Sunday the moon will reach perigee, 222,000 miles from Earth, only a few hours after the eclipse, so at the time of eclipse it'll be almost as close as it can get, and 15,000 miles closer than average. This will make the moon physically larger in the sky than average — thus the super moon label. The actual difference in size between a super moon and nonsuper moon isn't huge, but it is perceptible to the human eye. The problem is that you can't compare two different full moons at the same time, side by side, unless you take a photograph of each and compare the pics. If you could compare the full moon at perigee and at apogee (the moon's greatest distance from Earth), the size difference would be equivalent to that between a nickel and a penny. 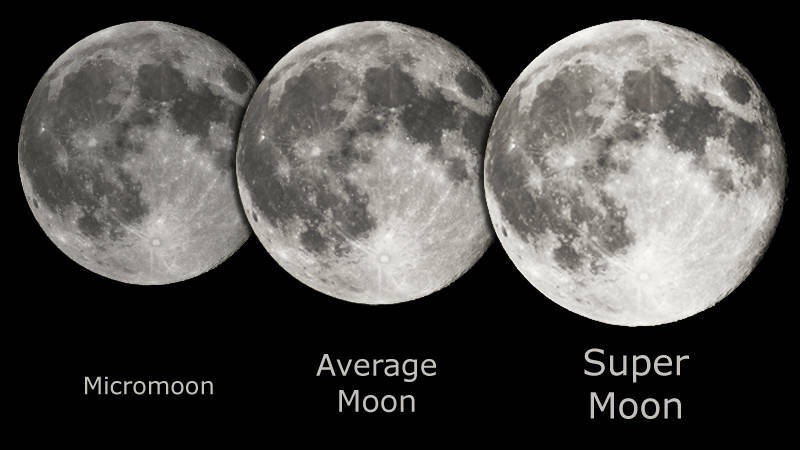 The greater effect of a super moon is the brightness, which is 30 percent greater than it is from the apogee full moon. That's like turning up the dimmer switch on a lamp from two-thirds to full. The coincidence of the eclipse and the super moon gives us a rare opportunity to see what happens when nature cranks the full moon's dimmer switch from maximum to almost off, then back again. And it'll all happen within a few hours time.